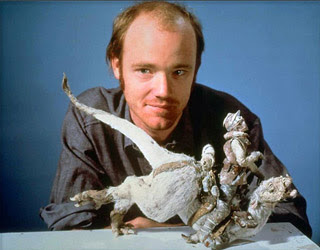 Phil Tippett is a living legend in the movie biz. Not only has he had a chance to work on some of the greatest movies in history but he is also one of the leading special effects wizards who has helped define the industry. The San Francisco Chronicle takes a look at the works of Phil Tippett and his Tippett Studios which includes work on the recent J.J. Abrams monster flick Cloverfield and The Spiderwick Chronicles as well as greats Jurassic Park and the original Star Wars trilogy. "It's not hard to find Phil Tippett, who is waiting upstairs in the main building of his special-effects studio in Berkeley. Just follow the trail of Tyrannosaurus rex models, which are scattered liberally among the memorabilia from scores of science fiction films he's contributed to since his groundbreaking work on "Star Wars." "Little boys diverge into two groups: One goes into trucks and the other goes into dinosaurs," he says. "I went into dinosaurs." Among the special-effects pioneers of his era, many of whom have settled in the Bay Area, Tippett is a bit of a dinosaur himself. The Berkeley native carried the stop-motion animation torch longer than anyone else, and was so despondent when computer graphics took over the industry in the early 1990s, that he became physically ill. But a decade and a half later, his studio continues to thrive - known for its superior creature effects. Tippett Studio was responsible for the monster in "Cloverfield," and the studio teamed with Industrial Light & Magic to create various beasts for "The Spiderwick Chronicles." Tippett's resume already contained a toy chest's worth of science fiction geek icons, starting with the animated chessboard monsters in "Star Wars" and the stop-motion AT-AT snow walkers in "The Empire Strikes Back." Click on the "OLDER POSTS" above to start up the Cloverfield archives and see how it all began. Welcome to 1-18-08 Project Cloverfield Blog. Cloverfield is the J.J. Abrams (Lost, Alias) produced monster flick directed by Matt Reeves. Get caught up on all the Cloverfield news including the viral world of Tagruato, TIDOwave, and Slusho!? And now Aladygma? However, I love viral campaigns. Cloverfield taught me the fun of being involved with the viral world of movies and TV. That's why I'd like to branch out this site to cover some of the major viral campaigns as they are developing. Feel free to drop me a line or tip on any you find interesting. Very few facts emerged from the viral campaign that was Cloverfield. It all started after a short, teaser trailer for Cloverfield appeared with the Transformers movie in early July of 2007. Since then, speculation surrounded what the title of the movie would be (Monstrous, Overnight, etc...) and what the monster really is and why it is tearing up New York City. A few pictures and covert videos from the film showed up online and there were only a few core facts we knew of including the poster, the teaser trailer, and a few websites at 1-18-08, Tagruato Corp, and Slusho . In November, the official full-length Cloverfield trailer was released that helped open up the story as well as cement the "Cloverfield" name for the movie. A short glimpse of the Cloverfield Monster was seen but for most people they still had little or no clue as to what it was. The movie centered around five young New Yorkers throwing their friend a going-away party the night that a monster the size of a skyscraper descends upon the city. Told from the point of view of their video camera, the film is a document of their attempt to survive the most surreal, horrifying event of their lives. Cloverfield opened the weekend of 1-18-08 and set box office records for a movie in January with a monster take of over $40M. Continue to check back here for updates on the mystery and viral campaigns of Cloverfield. If you're new to the Cloverfield viral world than let's get started. First off, for the beginners let's look at what we're talking about. What does viral marketing mean? Click here. 1-18-08.com Updates with pictures randomly. Each picture is layered onto of the previous update and all can be dragged and moved around the screen. Click and hold the mouse to 'grab' an image and move it around. While holding the image, shake it back and forth quickly and it will flip over. Some images have writing on the back. Slusho This is the Japanese frozen drink made from a secret ingredient gathered from the bottom of the ocean. Slusho gives you a kick and makes you extremely happy. Prior to 1-18-08 Slusho was not sold in the US. However, recent FDA approval gave Slusho clearance to come to the states. Rob Hawkins, the lead character, was recently promoted to vice-president of Slusho and was on his way to Japan the night of the attack. 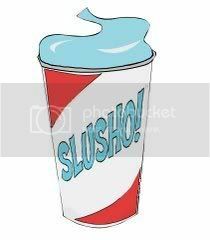 Slusho is owned by the Tagruato Corp. of Japan. Slusho also first made an appearance on J.J. Abrams Alias during a scene where characters buy the drink at a store. Tagruato This ficticious Japanese company is the parent company of Slusho as well as the Yoshida Medical Research, Bold Futura, and ParafFUN! Wax Distributors. Besides drilling the oceans for Slusho ingredients, Tagruato builds everything from space satellites to medical gear. T.I.D.O wave An activist group set out to bring to light all the damage Tagruato has done to the envirnoment. Jamie and Teddy A minor character from the movie, Jamie popped up on a 1-18-08.com picture and the MySpace profiles for the movies characters before getting famous for her "Jamie and Teddy" website. The site is comprised of video journals from Jamie. The site is password protected but can be accessed by the password "jllovesth"
Poster Official Cloverfield Poster. The poster was officially released the week of the 2007 Comic-con in San Diego. Submit a link here, contact us, or just send us a dirty pic!